This is one of my favorite were-pieces to date. 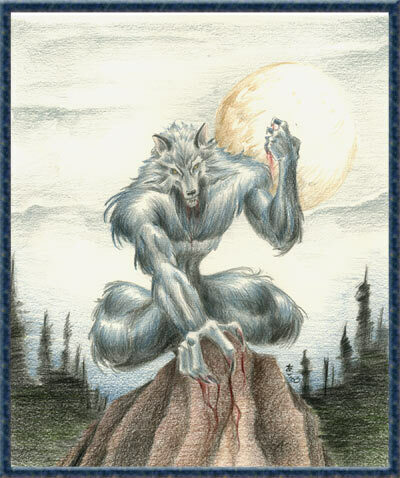 I remembered that back in college I was taking a painting class, and was working on an oil piece of a werewolf. 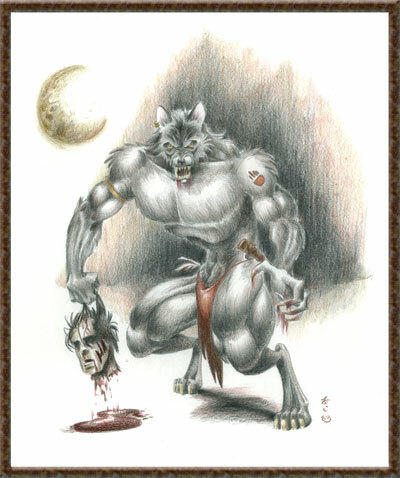 A friend of mine suggested that I make the werewolf hold a severed head, but I ended not encorporating into the painting. So, four years later, I used my friend's idea. Thanks, Thomas. Another piece I loved working on. No severed heads in this pic, but that doesn't mean the werewolf's prey escaped him.